Advanced Health & Educations (www.advhealth.com), Vice President of Business Development Mark Lamplugh, was a guest on the very popular Recovery Radio in South Florida. Mark talks about firefighter addiction and his work with the Frontline program (www.frontlinerehab.com) at Advanced Health. Firefighters tend to struggle with substance abuse and traumatic event issues because of the nature of their job. Mark also discuss’s some of his plans for the future, The problems with the opioid epidemic, some if the issues related to the addiction industry and his passion for helping addicts and alcoholics. 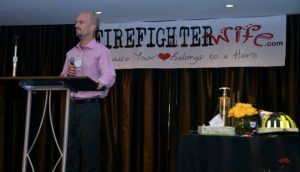 The Frontline Program (www.frontlinerehab.com) focuses on firefighter addiction and other responders who suffer from addiction. Broadcasting live from the Recovery Capital on WPBR 96.1fm/1340am in Palm Beach County, Florida Monday-Friday from 8pm-9pm and Tuesday-Thursday from 9pm-11pm Our shows bring you Real Talk on Addiction and Recovery, featuring special guests including actors, musicians, activists, writers and doctors. Addiction and trauma don’t only effect the Responder, but also the family. At Advanced Health & Education (www.advhealth.com), we not only support the therapeutic process of First Responders, but of their families and fellow Responders as well.